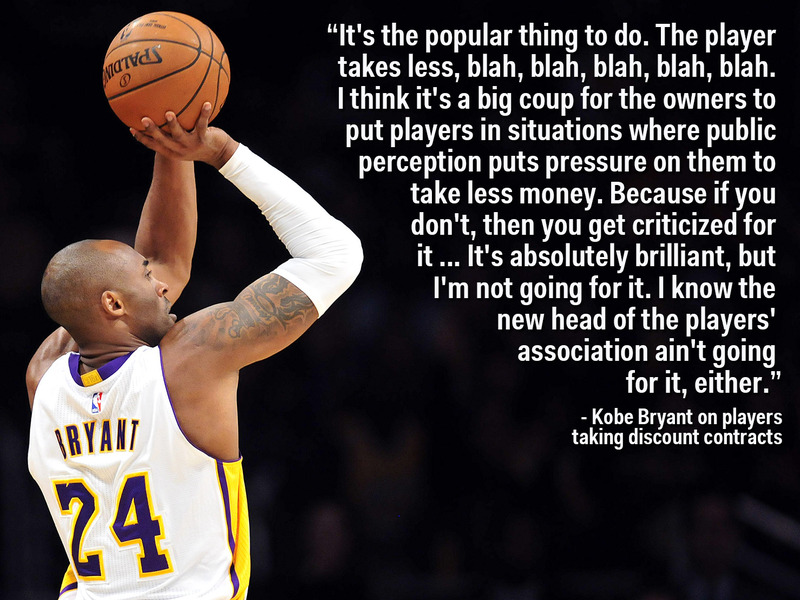 Kobe Bryant has received plenty of criticism in recent years for demanding large salaries while other players such as Dirk Nowitzki and Tim Duncan have given their teams hometown discounts. But Bryant now says it is those players who made the mistake of forfeiting some of their earning potential and putting more money back into the pockets of the owners. In a recent interview with Tim McMahon of ESPNDallas.com, Kobe blamed the trend of veterans taking discount contracts on public pressure for the player to make it easier for the front office to create a winner. Bryant not only says it is a bad idea but makes it clear that it needs to stop pointing out that Michelle Roberts, the head of the players’ association, won’t put up with them either. Unfortunately for players, their contract information and annual salaries are easily obtainable by the fans while the salaries of team executives and profit margins for team are not. This opens players up for criticism when fans see how much they are making and at the same time shields the owners. Dirk Nowitzki, who signed a deeply-discounted 3-year, $US25 million contract prior to the season and will make just $US8 million this year, defended his decision to take a smaller contract. Lost in the criticism of Bryant is that the Lakers did have enough salary cap space this summer to sign a star player and aggressively pursued Carmelo Anthony before he re-signed with the Knicks. But fans still look at how much Nowitzki is making and how much Tim Duncan is making ($US10.4 million this season), and the fans see those teams contending for championships while the Lakers struggle to win games. 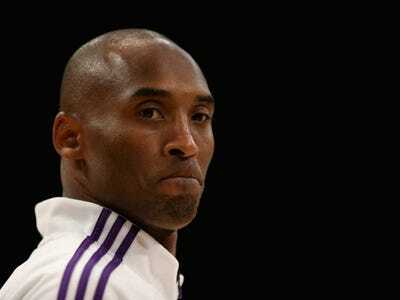 At that point it is becomes easy to blame Kobe for making $US23.5 million even if it isn’t justified.